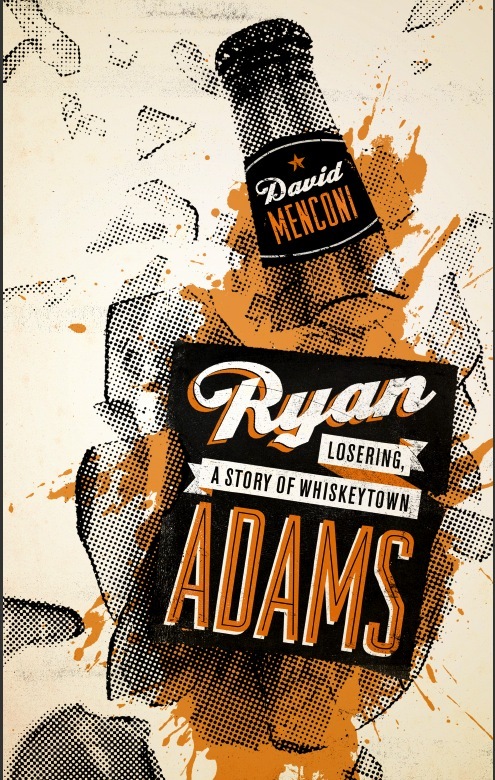 “Ryan Adams: Losering, A Story of Whiskeytown” is a critical biography written by David Menconi — a journalist, critic and longtime fan. It’s complicated. Seriously. If you just got here and want to know more of the back-story on how this book came to be, the very beginning is a very good place to start. That would be here, reading from the bottom up. “Losering” is part of the American Music Series (of which I am co-editor), published by University of Texas Press. It’s available at better bookstores everywhere and also on amazon.com, bn.com and iTunes. It can also be found in the Library of Congress, Wake County Public Library, Berklee’s Stan Getz Library, Stanford University Library, Austin Public Library and the Rock and Roll Hall of Fame Library & Archives. …offers a deeper understanding of how [Ryan Adams] evolved into the artist he’s become. …packed with tales of magical performances and utterly desperate train wrecks. …part biography, part appreciation, and part scholarly analysis…a wildly entertaining read and a comprehensive rendering of one of Adams’ most fruitful periods. A ramble though a long-vanished Raleigh in search of redemption. Often funny, sad and poignant at the same time. The finest rock book of the year…addictive as potato chips. The music book of 2012. …part oral history, part Menconi memoir, part Adams biography, and for all the bridges Ryan burned in Raleigh, all love story, in its own way, complete with its own breakup and happy / sad ending…Ryan Adams and Whiskeytown were instrumental in shaping the scene here as we know it, and Menconi takes that, respects it, and writes it as a wonderful story that isn’t happy, but is truthful, and fascinating. …an essential read for Adams’s fans and alt.country fans in general, but also a fascinating account of the birth of a star. …a fuzzy dreamlike glow around the whole thing. …an opportunity to go back and burrow into that mid-’90s period of twang, crunch and spilt-beer beauty known as Whiskeytown. Once a fan, always a fan. …a love letter to Adams’ long-suffering fanbase. …fascinating, often shocking and never boring. …the anarchy surrounding Whiskeytown is well-told. This was a magic time for music, and Ryan Adams was a key reason why. A fantastic read for fans of Raleigh and great music journalism. David Menconi writes that he subtitled his book “A Story of Ryan Adams and Whiskeytown” — and not “The Story” — because there are so many wildly conflicting perspectives on the gifted but mercurial rocker. He’s being modest: This is THE story you’ll want to read. A reporter in the town that gave Adams his launching pad, Menconi was there from the beginning and tells the tale like no other music journalist could. Painstakingly teasing the facts from the mythology, Menconi presents a compelling portrait of a talented and troubled artist that swaggers like the brassiest honky-tonk, meanders like jaunting jam rock and prods like the most provocative punk. And those are only three of the many musical faces of this son of Jacksonville, North Carolina. A tightly written and bold look at one of music’s most brilliant and enigmatic artists, Ryan Adams. But this fine book transcends that, providing a first-hand account of the birth of modern Americana music and showing us what a profound effect music has on all of our lives. “Losering” is the best in music journalism, and Menconi is surely one of our best music writers. The story of Ryan Adams’ scramble from poor country kid to cliched rock stardom had me captivated from the first barroom brawl. I had to stay up reading deep into the night until I’d finished. Like any great pop song, “Losering” proves itself dangerously addictive. A fascinating account of the life and work of the brilliant but mercurial Adams. But it’s more than that. We also get boots-on-the-ground coverage of the Raleigh-Durham-Chapel Hill music scene — one of America’s most fertile. And we get a revealing peek at the codependency between rock journalist and rock star. OK, I’m hooked. Will need to return.